A concussion is an injury to the brain caused by a blow to the head that results in temporary loss of normal brain function. The Centers for Disease Control and Prevention estimates that about 300 000 sports-related brain injuries occur in the United States each year. Concussions can also occur as the result of head injury from a fall or during a vehicle crash. The November 19, 2003, issue of JAMA includes 2 articles about concussions in college football players. An individual does not have to have lost consciousness to have a concussion. In many cases, the symptoms of a mild concussion disappear within minutes. If the concussion occurs while playing a sport, the player should be taken out of play and should not be allowed to continue playing in the current game or practice. New guidelines emphasize a stepwise, medically supervised "return to play" strategy depending on the severity of the concussion. Individuals who have a head injury may still have poor memory and concentration, headache, fatigue, and dizziness for several weeks to months. This is known as post-concussion syndrome. Players who return to the game or practice before a concussion has completely resolved and then sustain a second head injury are at risk for severe brain injury or even death. Always make sure to wear properly fitting protective head gear when playing a contact sport or while engaging in any other activity during which a blow to the head can occur, including riding a bicycle or motorcycle, skateboarding, or inline skating. 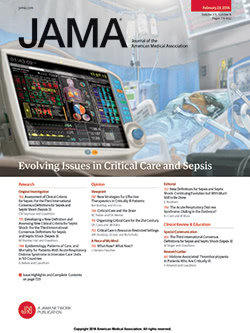 To find this and other JAMA Patient Pages, go to the Patient Page link on JAMA's Web site at http://www.jama.com. A Patient Page on traumatic brain injury was published in the June 11, 2003, issue.